Home » The Learning Zone » What makes a writer? Dr Alison Baverstock is a well known publisher, writer and speaker. Having worked for Heinemann and Macmillan, she ran a marketing practice for publishers for many years, and co-founded MA Publishing at Kingston University. Long involved in research and writing about publishing, she is highly experienced and respected in her field. She is now Associate Professor of Publishing at Kingston University. Her research interests have been various but she’s had an ongoing curiosity about the processes writers go through before they are published. Why do some authors get published, when others don’t? And how do they keep going? What motivates people to write? After research into how marketing works in publishing, and how it now involves the author, Alison looked further. She wanted to understand how creativity works, and how writers and the publishing industry interact. In an upcoming event, the findings will be revealed in full. If you’d like to attend, reserve a ticket here. Alison’s research set out to uncover the influences that shape an author. What childhood habits, pursuits and emotions are likely to be part of the make up of someone who later writes? The respondents were a broad range of authors, and the questions were both quantitative and qualitative, capturing a range of habits and influences. Alison wanted to find common trends rather than individual stories. It seemed that writers enjoyed being consulted, because she and her research partners got over 920 responses. The research project is also uniquely cross-disciplinary, involving an economist and psychologists to delve into the personality traits that distinguish authors, and how they compare with the wider population. This approach is different in its rigour, but also the blend of organisations that Alison involved. The survey was circulated to members of the Society of Authors and the Alliance of Independent Authors, subscribers to MsLexia and Writers’ Forum and clients of The Literacy Consultancy, as well as SilverWood Books. 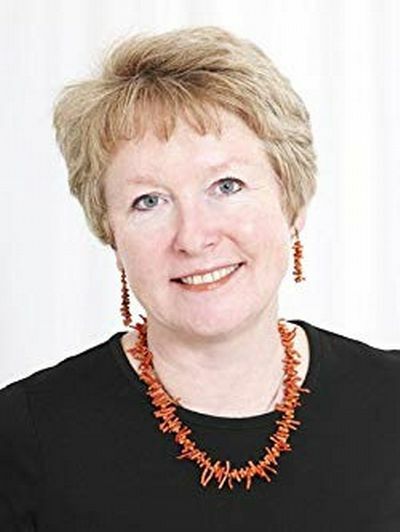 Alison says, 'I chose to work with SilverWood, because in my view they are highly professional and a beacon of good practice within self-publishing services.’ Thanks Alison! We’re certainly in distinguished company. The role of the teacher in encouraging the nascent writer is very significant.. Someone who inspired them to write, but was crucially nota parent or friend. The fact that the teacher is a third party lends a valuable objectivity to their encouragement. Another intriguing finding of the research was the importance of 'owning books that you knew belonged to you.’ The respondents were asked to grade a number of issues/things in terms of how important they were to them in their youth and the personal ownership of books scored consistently high, with many of the authors offering further comments about just how much owning their own books meant to them. You can still get a ticket here. What will the impact of this research be? Both this survey, and Alison’s other work on self-publishing, show that writing tends to bring happiness, so the research has a relevance in many fields. The research highlights the benefits writing can offer to self esteem, self understanding and contentment. Finalising a writing idea that has existed within us can produce a profound sense of satisfaction, regardless of whether this goes on to achieve a finalised format or wider sales. This information could be used to great effect within education, in shaping how we encourage children. It could be used in the care of the elderly, sick or those currently in prison. Alison believes that writing has enormous implications for health, education and social policy professionals. Perhaps we should all be writers, if we want to be more satisfied? Get a ticket for the event here.